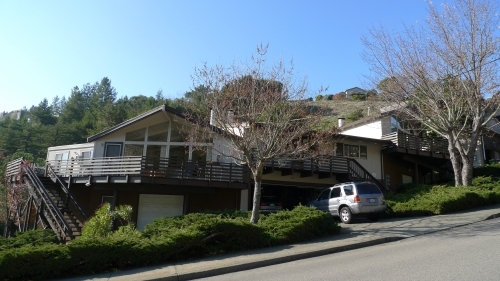 I'm thrilled to have assisted my client secure a great deal on a triplex in San Rafael. She was able to accomplish her goal of buying a property that would enable her to live closer to work and enjoy great weather, while securing an investment that would provide a stream of income from the other units to help pay for it. Set in the lower hills of desirable Sun Valley neighborhood just off of Forbes Avenue, this mid-century modern triplex has a rare side-by-side orientation that offers privacy. Each unit has been well-maintained and has two bedrooms and one bathroom, a fireplace, a laundry area, a garage, as well as plenty of storage. You can also enjoy outdoor-living from the deck that each unit offers, with the principal unit boasting Mt. Tam views and an updated bath. Find out how I can provide a highly effective solution to sell your San Rafael home with the best possible terms in today's market, by combining Internet expertise, access to our database of thousands of buyers, key relationships and other tools. For a complimentary consultation regarding your home's value and market analysis, contact Jonathan B. Jacobs to schedule an appointment.